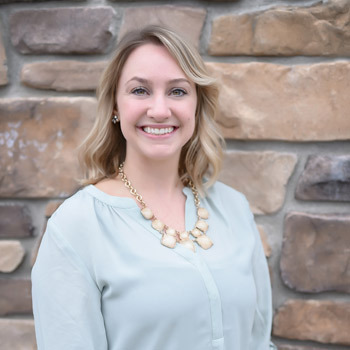 After attaining her Doctor of Chiropractic at National Chiropractic College, Dr. Erica furthered her education by taking an acupuncture course which opened her eyes to other nonconventional treatments that are available to help people naturally. She has completed 100 hours in acupuncture. She also learned about the The McKenzie Method® of Mechanical Diagnosis and Therapy™ that is used on patients with neck or low back pain. Being a part of the motion palpation club in chiropractic college helped her tremendously with her adjusting skills. Dr. Erica is also certified in Rock Tape and has taken the first three courses in The McKenzie Method. She has taken nutrition and pregnancy courses as well. Dr. Erica is a member of the Wisconsin Chiropractic Association and the American Chiropractic Association. 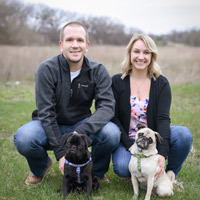 When she’s not at the practice, Dr. Erica enjoys spending time with her husband Sean and their two fur babies (pugs). She also likes to camp, hike, walk and fish. She’s also a big Packers fan, and loves spending time with family and friends. Feel your best, naturally, with chiropractic care. Book an appointment today!